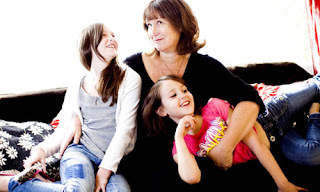 At 47 years old, Luisa Dillner has four children she adores – the eldest is 21 years old. And now she's pregnant with her fifth child, the last thing she expected at her time of life. First of all, my belt becomes tight. My low-carb diet has been working a treat, so I am surprised and disappointed. I recap how much I've eaten over the past week. Then I start going off alcohol. In a big way, because alcohol now has an unpleasant, metallic taste. My partner notices, as I can't help noticing, I haven't had a period for a while. Sweetly he puts an arm round me. Maybe you're having an early menopause, he muses. Don't worry, you'll be all right. Originally posted on October 24th, 2009. -- So you're over 40, and you've decided to get pregnant. You are not alone. A growing number of women are waiting to have a baby until they are over 40. ♥ How you can have a healthy baby in your forties (in spite of all the warnings). So get started and discover how to have the safest pregnancy and the healthiest baby when you are over 40 and pregnant. Start reading Pregnancy After 40 on your Kindle in under a minute!